November saw the inaugural meeting of the Scottish Film Festival Studies Network. 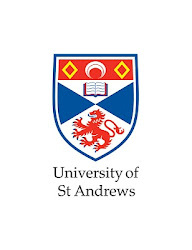 Founded by Dina Iordanova and Alex Marlow-Mann and funded by the Royal Society of Edinburgh, this initiative provides a forum for festival scholars and practitioners (both within Scotland and beyond) to interact and exchange ideas. The first meeting took place on Monday 7th November at the Royal Society of Edinburgh and took the form of an interactive workshop dedicated to Film Festivals in Scotland and Beyond – Activism and Social Impact, a subject closely linked to the fourth Film Festival Yearbook, which is forthcoming in January and will be dedicated to Film Festivals and Activism. The first session comprised a lively discussion on ‘Film Festivals and Activist Causes’ between Nick Higgins (University of Edinburgh/ filmmaker), Eddie Harrison (Scottish Mental Health Arts and Film Festival ) and Ron Inglis (Regional Screen Scotland), which was moderated by David Archibald (University of Glasgow). This was followed by a session on ‘Documentary Film Festivals: Nodes and Networks’, moderated by our own Leshu Torchin and featuring interventions by Robin McPherson (Edinburgh Napier University), Mona Rai and Paula Larkin (Document Film Festival) and Sonja Henrici (Scottish Documentary Institute). After lunch a session on ‘Where Is the Edinburgh International Film Festival Headed Next?’ focused on the festival’s prospects after the appointment of its new Artistic Director, Chris Fujiwara. The debate was chaired by Matthew Lloyd (Glasgow Short Film Festival/ author of How the Movie Brats Took Over Edinburgh) and featured comments by David Cairns (Edinburgh College of Art, Shadowplay) and Diane Henderson (Edinburgh International Film Festival). Each of these panels were highly interactive and featured extensive discussion between the panellists and members of the audience, which comprised a range of academics, festival practitioners and industry figures. The final session was a little different; it featured a conversation between veteran activist filmmaker Želimir Žilnik and Dina Iordanova in which he reflected back on his long career and the role festivals have played in the success of his films.